A man who was shot in the chest by armed police is planning to take legal action against the force involved. 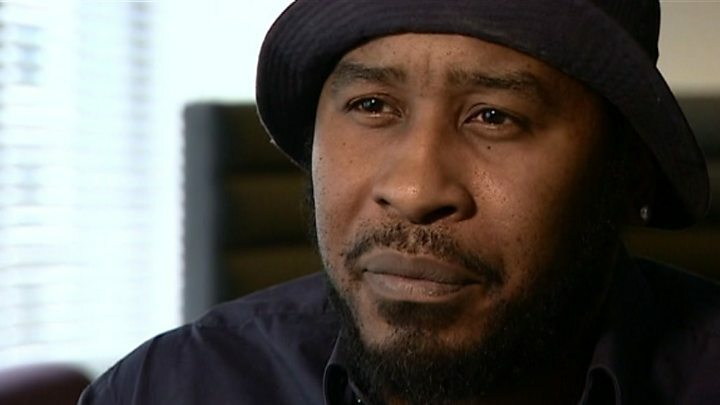 Sharif Cousins, 41, an ex-gang member turned youth worker, claims he was unarmed with his hands up when he was shot by West Midlands Police last July. Mr Cousins, who was in an induced coma for three weeks after the shooting in Birmingham, said: "I didn't think I was going to make it." The police watchdog is investigating the circumstances of the shooting. West Midlands Police said it was unable to comment on the individual case. Mr Cousins was shot in an alleyway in Hereford Close, Rubery, by armed officers. No charges were ever brought against him in relation to the night of the shooting. The man he was with at the time, 21-year-old Jamael Scarlett, was arrested for previous unrelated offences that night and has since been sentenced to 16 years in prison for drugs and firearms offences. It was the first time someone had been shot by a West Midlands Police officer since 2000, the force confirmed. On the night of the shooting on 26 July he had been watching music videos with Scarlett when they heard about police activity in the area. Speaking to BBC WM, he said he went to get cigarettes for his girlfriend when he was confronted by police. "At that point police have just run out in the alleyway, out of nowhere - and said 'Stop, put your hands up', or something like that. So we've put our hands up and then I just heard a bang," he said. "I've looked down at my chest, obviously, and my chest is smoking and stuff." He said he saw "a hole" before falling to the floor. "I've seen the flash of the gun but I didn't actually believe it happened," Mr Cousins continued. "By the time I finished my sentence my voice has gone, so I am whispering." Mr Cousins had previously spent 15 years in prison, including an eight-year term for possession of a firearm with intent to endanger life for pointing a gun at a police officer. But he maintains he has stayed away from trouble since coming out of prison in 2011. "I'm trying to live my life and be a normal guy," he said. Mr Cousins described himself as "a mentor" to Scarlett through his work steering youths away from gangs and insists he did not know he was being investigated by police. He explained he did not think he would survive to see his unborn son but "found some kind of strength to pull past that point". "Now that I did pull through I just have to give thanks to God... because males that usually go through these type of situations they don't live to tell the story. They... just end up a statistic," he said. "So you never got to hear their side of what happened." Despite the force not commenting on the case, Assistant Chief Constable Kenny Bell said he had the "highest confidence and respect for our firearms officers". "They have to make that decision in less than half a second and they will be accountable for that for decades afterwards," he said. He said a shooting "must be absolutely necessary" and officers must have an honest belief they or a member of the public are "in imminent danger". Mr Cousins said he still suffers pain, cannot lift his arm fully and suffers from panic attacks. "My life has been ruined because of this episode... I'm taking four medications. I will probably never be the same person again," he said. Mr Cousins said he regretted his crimes and felt "totally remorseful" about pointing a gun at a police officer. "I've got eight-and-a-half years' prison for that. I've done my time, I have changed my life since coming out of prison and I've been away from the law," he said. He added he wanted to continue working with young people and teaching them about avoiding gangs, as it is "where my passion lies". The Independent Office for Police Conduct is expected to publish its findings into the shooting soon and Mr Cousins is planning legal action against the force following its release.